Yesterday when we woke up it was a freezing 39 degrees outside. So, before I jetted off to the gym I put some potato soup together in the crock pot. Now, this recipe is a base recipe, and you can really add a lot to it if you want. If you would like to have Parmesan Potato Soup, save the rind of your Parmesan cheese in the freezer and add it to this base. You will wind up with a cheesy potato heaven. Or, you can add 1-2 Tbs of fresh rosemary. My husband sometimes asks me to add chili powder or chili pepper flakes. As you can see, you can add whatever flavors you like, or you can stick with just creamy potato soup. Chop 5 lbs of russet potatoes into about 1/2 in cubes. Leave the skins on! Add them to your crock pot. To that dice half a yellow onion. Then, grate, mince, or chop 10-12 cloves of garlic. Sprinkle 1 Tbs of seasoning salt on top. Pour 2 quarts of stock in on to your mixture of potatoes, onion, and spices. I know it looks like it could overflow when cooking, but I promise you it will not. 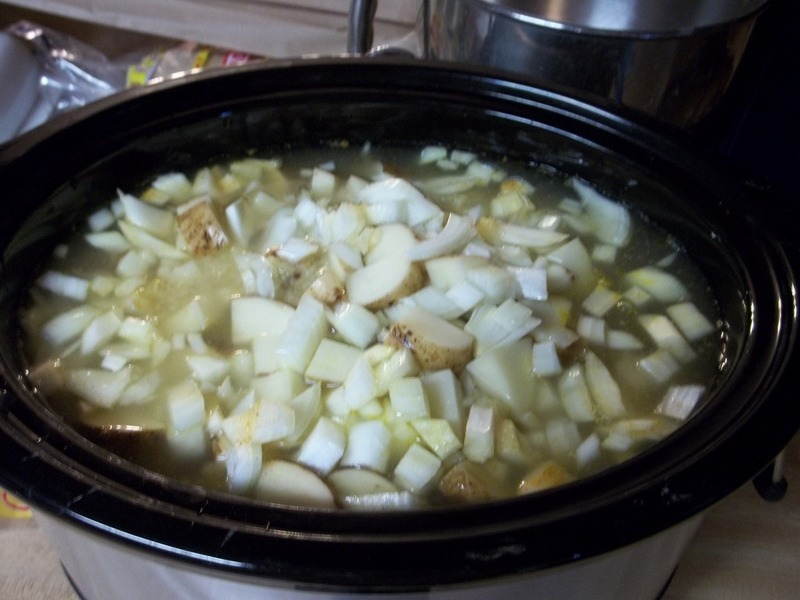 Set crock pot on low for 10 hours or on high for 4-5 hours. Once finished add 16 oz of low fat cream cheese (sometimes I just use 8 oz if I’m trying to be healthier). I then use a food processor to blend the soup to a creamy consistency. However, if you are lucky enough to have a hand immersion blender use that instead. Once you have the soup blended add salt and pepper, and I usually add about 1 cup of milk at this point too. 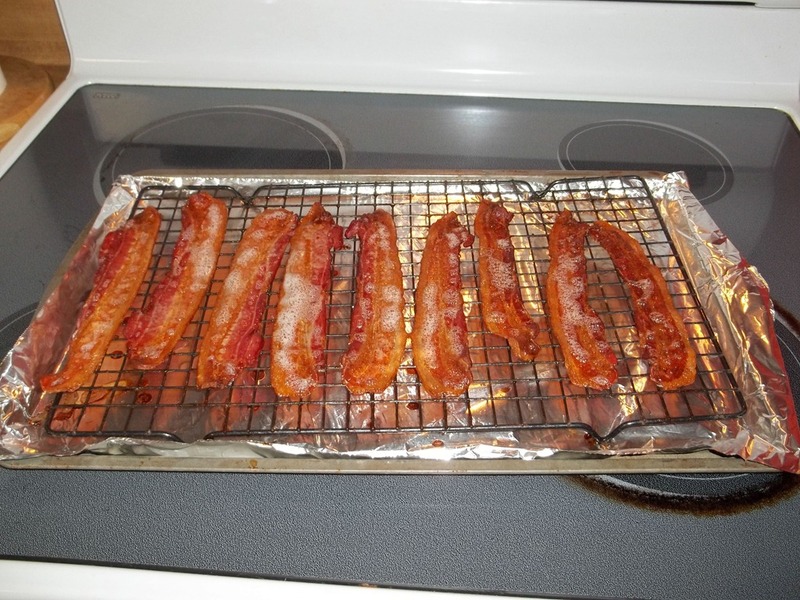 I bake up some bacon in the oven to sprinkle on top of the soup. Plus bacon makes everything better! Garnish with your favorite toppings! 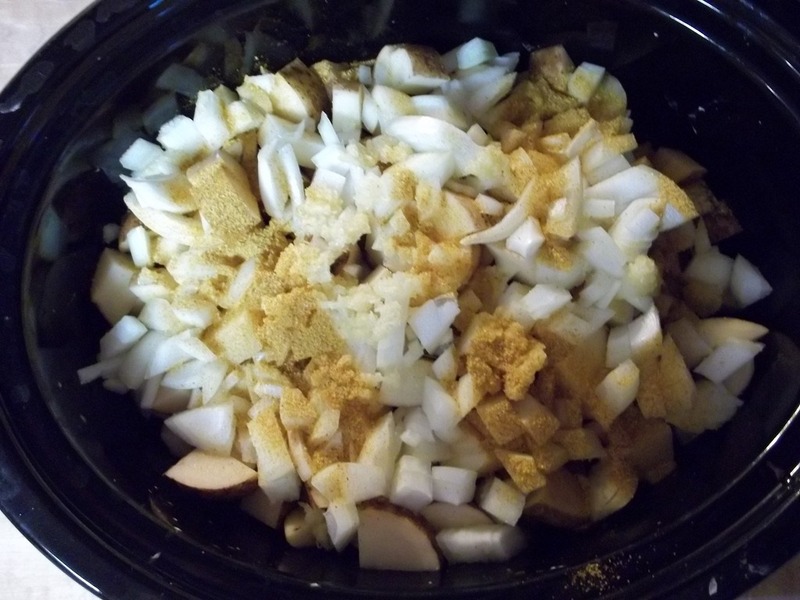 Add potatoes, onion, garlic, seasoning, and chicken stock to slow cooker. Cook on high for 4-5 hours or low for 10 hours. Add the softened cream cheese and puree soup with an immersion blender or in a regular blender until the cheese is incorporated and the soup is blended to the consistency you like. Add salt and pepper to suit your tastes. Stir well, top with your choice of garnishes and dive in! 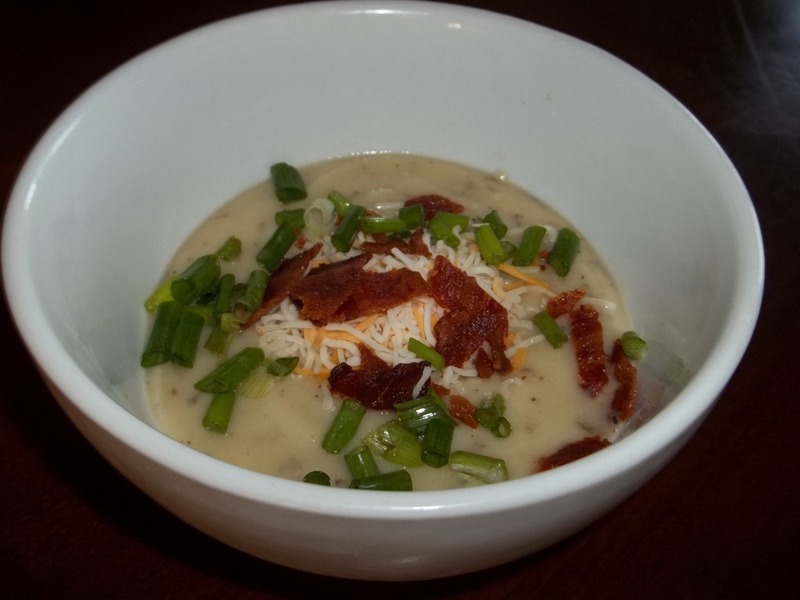 This entry was posted in Recipes and tagged creamy, crock pot, food, potato, recipe on September 8, 2012 by fromfltond.